If your searching for carpet in Tampa FL it's probably because your current carpet is looking tired and worn. Maybe you moved some furniture or a rug, or even changed a light bulb and got a good look at your carpet. Heavily soiled carpet can look rough and make you want to rip it out with your bare hands. The good news is that even though your carpets look like they've been left out in the middle of the road they probably aren't as bad as you think. Medium grade carpet, in other words not the cheap stuff, is made to endure time and rough treatment. Carpet produced in the last 10 years can be made from several types of materials, but they all have the ability to resist stains and scuffing. So even though your carpet might be looking rough it doesn't mean it's time to get rid of it. 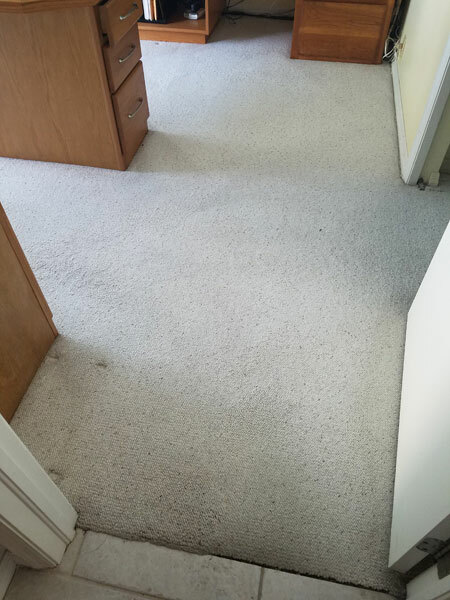 I clean carpets professionally in Tampa FL and I can't tell you how many times my customers have told me that they are getting their carpet cleaned in hopes of it lasting 6 more months before they replace it. Then they call me a year later to come out and clean the same carpet because they decided after a good cleaning the carpet was still in good shape. 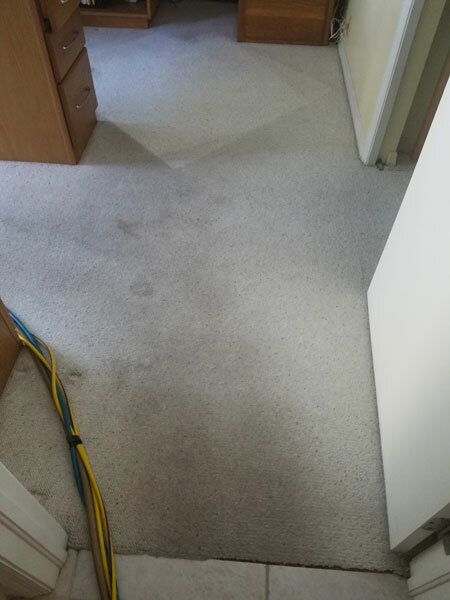 The pictures above are from a recent carpet cleaning where my customer told me she was disgusted by how bad her carpet looked and was planning to get rid of it in a few months. After I cleaned her home office she told me that she was reconsidering, and thought she might keep the carpet as is. Instead of spending thousands of dollars to replace her carpet she spent just a few hundred to get them back to a healthy state. No carpet cleaning is perfect but I can guarantee for not a lot of money it will look cleaner and healthier and greatly add to the life of the carpet. For carpet cleaning in Tampa FL call Chem-Dry of Tampa today.